Play for fantastic prizes and save the planet with CyberBingo on Earth Day Mini Bingo. From poisoning and injuring marine life to disrupting human hormones, from littering our beaches and landscapes to clogging our waste streams and landfills, the exponential growth of plastics is now threatening the survival of our planet. In response, Earth Day 2018 on Sunday, April 22nd is dedicated to providing the inspiration needed to fundamentally change human attitude and behavior about plastics. Join your CyberBingo Bingo roomies to spread the word about Earth Day and you could be a winner with fantastic prizes to be won in our Earth Day Mini Bingo games. The Earth Day mini bingo fun plays in the Spring Bingo room from 7:00PM EDT on Sunday, April 22nd and consists of quick playing small pattern bingo games that include Starting $25 Games and Guaranteed $75 games. 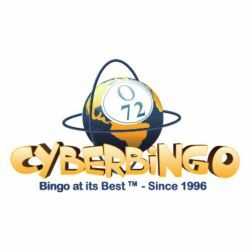 All our Earth Day Mini Bingo games play for a card cost of just $1.00 a card and with a special Buy 6 Get 3 Free offer on all cards, you’ll get more chances to win as you celebrate Earth Day at CyberBingo.